How’s this for a throwback?! I’m going to try and be really cool and play off the fact that this release completely passed me by – not quite sure how that happened but sad to say that it did and has only made its way onto my playlists in the last month or so. Remix albums nowadays are fairly aplenty but this one probably harks back to a day when there really wasn’t that many to get your hands on, particularly ones dabbling across genres. 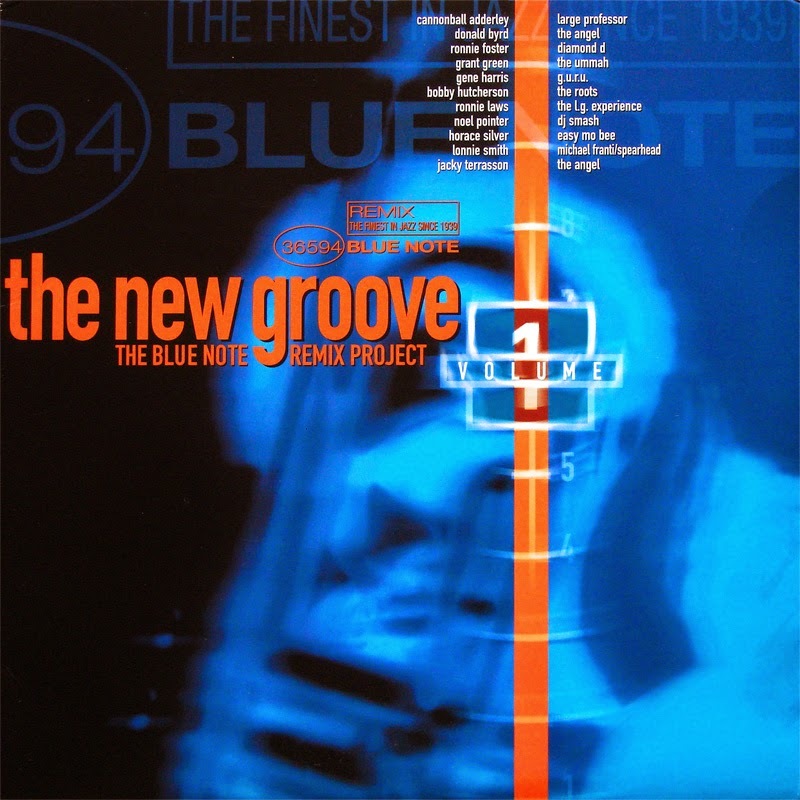 ‘The New Groove’ is notably hip-hop infused boasting a veritable who’s who of 90s hip-hop production, with remixers including Guru, Diamond D, Large Professor and Easy Mo Bee tackling iconic Blue Note masters like Donald Byrd, Ronnie Foster, Bobby Hutcherson and Horace Silver, amongst others. Nineties hip-hop is famed for many of its luminaries building from the musical groundwork as established by jazz icons from previous years (Gang Starr, A Tribe Called Quest) so this release cleverly takes that relationship to the next stage. There’s plenty here to be excited about with Easy Mo Bee and Guru delivering strong highlights, but it’s The Ummah’s Q-Tip and The Roots’ Questlove who deliver the two standout tracks with ‘Down Here on The Ground’ and ‘Montara’ respectively.